We’ve reached the point at which we can cease using “app” to describe smartphone software. Still, I’ve barely scraped the surface of what’s out there for real estate agents. I plan on making mobile applications a larger part of my column the second half of this year. Until then, have a look back at a few I’ve enjoyed learning about. FiveStreet doesn’t create leads, it ensures you’re quick to follow up with them. The most typical FiveStreet workflow starts with a contact captured from your website, from a listing or general inquiry. Notifications are routed through FiveStreet, triggering an automated email or text to that contact on your behalf. It ensures you “respond” in at least five minutes. 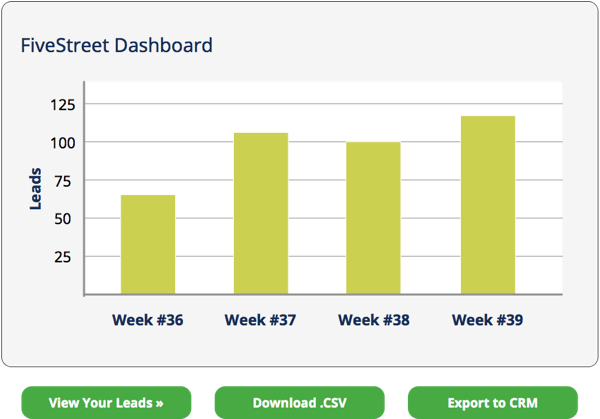 Then, import the leads FiveStreet collected into a CRM or email marketing software. Immediate attention: Consumers want responses, and they want them yesterday. FiveStreet lets prospects know you heard them, and that you’re on your way. Video creator EzFlix is a prime example of just how powerful mobile phones have become. EzFlix lends you the technical capabilities to construct, narrate and publish good-looking real estate marketing videos. If you’re not comfortable with editing, EzFlix automatically pulls images from your MLS listing feed and assembles them into simple slideshows. 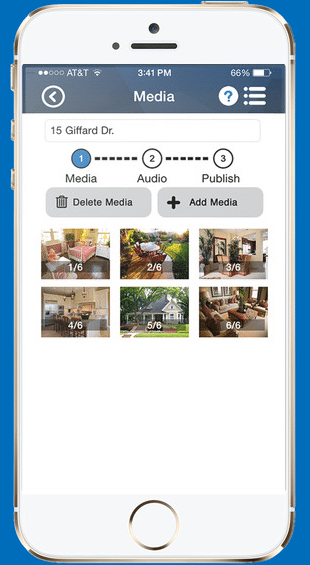 MLS connectivity: EzFlix pulls listing images directly from your local feed and sews them together into photo slideshows. Share them in just a few taps. Video assembly: Tap on an image or video clip and drag it to its proper place in your video. EzFlix combines still shots with video clips to add variety and professionalism. Even upload music. This is a pocket CRM, easy to learn and showcasing a sweet user interface. 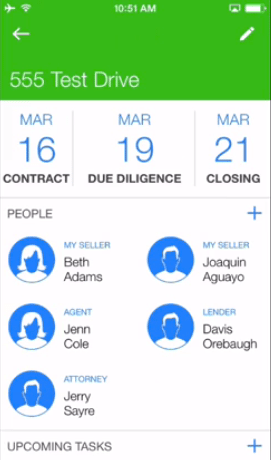 GoConnect helps you manage the people, tasks and actions related to a transaction. The richly color-coded software leverages the common taps, swipes and phone rotation commands of whatever smartphone OS you use, making the learning curve quite painless. For example, rotate your iPhone to switch from today’s list of tasks to a weekly, more detailed view. Built for mobile: GoConnect is at home in your hands. This is why phone builders are making larger screens, because we’re now doing serious work while standing around waiting for our coffee. Categorization: GoConnect’s project and task silos reflect the real-world aspects of real estate sales: New Listings, New Buyer Contract, My Listing Sold and Post Closing. Everything has its place. The mobile software market for real estate is dense, full of some really impressive technology. I’m excited to see what lies ahead. Do you use any of these mobile applications — and what do you think? Leave a comment and let us know!